New Zealand Steel believes that by fostering education and achievement, we will be more successful as a company and a community. The Scholarship is awarded annually to a student entering the second or third year of their Engineering degree, specialising in either Mechanical, Electrical/Mechatronics or Chemical & Materials. It will be awarded for a period of up to 3 years subject to an annual review of performance. The value of the scholarship is $3,000 per annum scholarship payment, plus up to 3 months paid vacation work (value $10,500). The scholarship holder will be expected to undertake paid work at New Zealand Steel during each summer vacation whilst they hold the scholarship. The basis of selection will be academic merit, leadership potential and wider contribution to the University, community or other New Zealand activities. The scholarship usually opens in September/October of each year. The winner of this scholarship cannot hold another other scholarships. We believe by fostering talent in the community we will continue our success in the long term. In what ways has the scholarship helped you? It has helped with the financial pressures of attending University. Also having the summer work helps as it contributes directly to my degree. The diversity of the Steel Mill site is great and the experience you gain is something you wouldn't get in many other places in New Zealand. What are currently studying at University? I am doing Engineering Science and I am beginning my third year this year. I chose Engineering Science because I can apply the skills to many different areas in industry which means I have the opportunity to work in a lot of different situations. 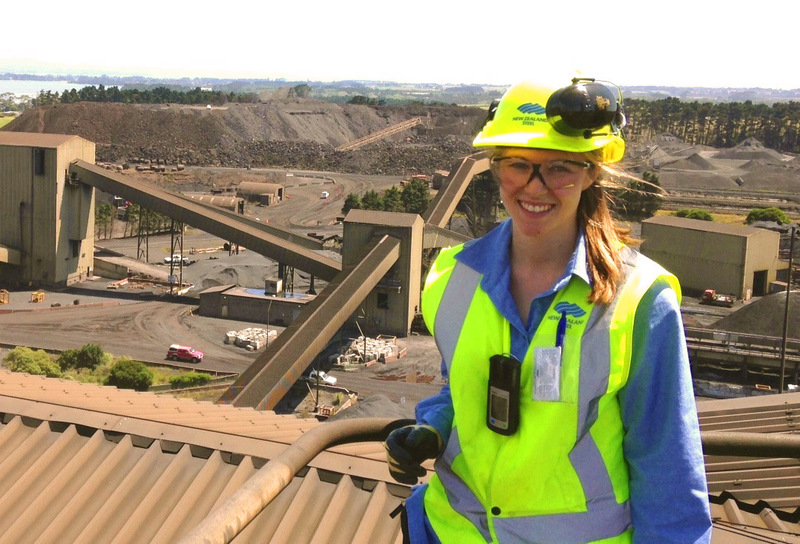 How have you found the work at New Zealand Steel? This is my second summer working at the Mill and I have worked in the Metal Coating Plant and Process Engineering department. I like the diversity of the jobs that I get to do which teaches me a lot as well as letting me use the knowledge I have gained from Uni. It has helped me a lot financially; it has helped me move into a flat after my first year of Uni and has allowed me to focus on my Uni work more. The work experience here has been great, and it's really cool knowing that I can come back for the duration of the scholarship. I find working in the Steel Mill is very interesting because you get to understand how the process works from start to finish and everyone is really interested in showing you how their job works so you learn quickly. I am studying Mechanical Engineering and I am now in my second year. I chose Mechanical Engineering as I find that it's a very good degree for me to take globally, you can also apply your skills to many different applications. I find it really easy to visualise things mechanically and find it really interesting how you can build things and they all fit together from a design perspective. The work has been really good. I have been working on understanding lots of systems such as SAP which is system used globally so is a very good skill to have. I have also been looking at lubrication work orders for the plant, this is to help make it easier for the technicians to see when work is being completed. I have done a little bit of design work, redesigning the grating to the raw material hoppers in the Steel Plant so they create less spillage. I find it really interesting and helpful for my career because I find going into the plant with the technicians very exciting especially seeing the heavy industrial machinery in action. Primarily it's been a financial help, but secondly it has given me a real practical opportunity to apply the knowledge I have learned in class. I am studying Chemical and Materials Engineering and I am coming into my third year. Why Chemical and Materials Engineering? I quite enjoy physics and chemistry and New Zealand Steel helped in making my decision because they employ chemical and materials engineers. I have experienced a lot of the process in the Mill which is quite related to my studies. I have worked in the Product Metallurgy and Metal Coating department. It's fantastic and I really enjoy working here because the people here are really lovely and I enjoy working in the team. I quite like what I study so the projects are exciting. I have been working on a project on the mass balance (calculation used in Chemical and Materials Engineering) on the process engineer chemical cleaning section.